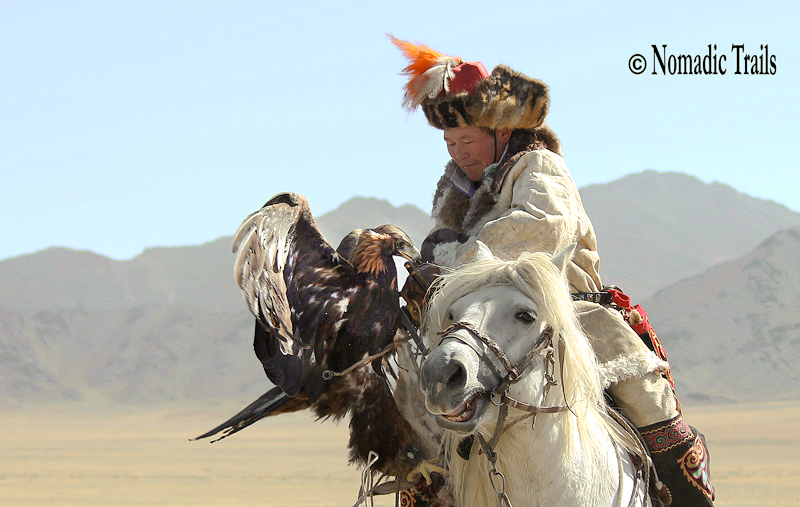 Eagle hunting has been practiced in Central Asia for a thousands of years. 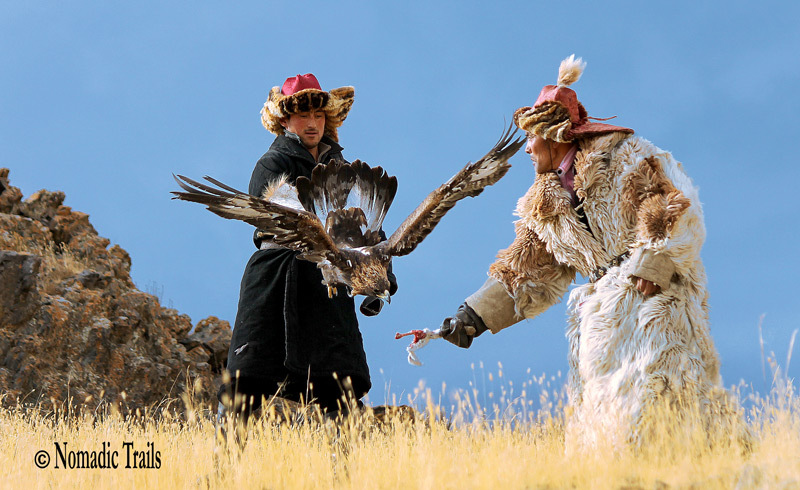 Like traditional practices elsewhere in the world, hunting with eagle is on the verge of extinction, but Kazakh culture, in Mongolia the tradition is alive and well kept. 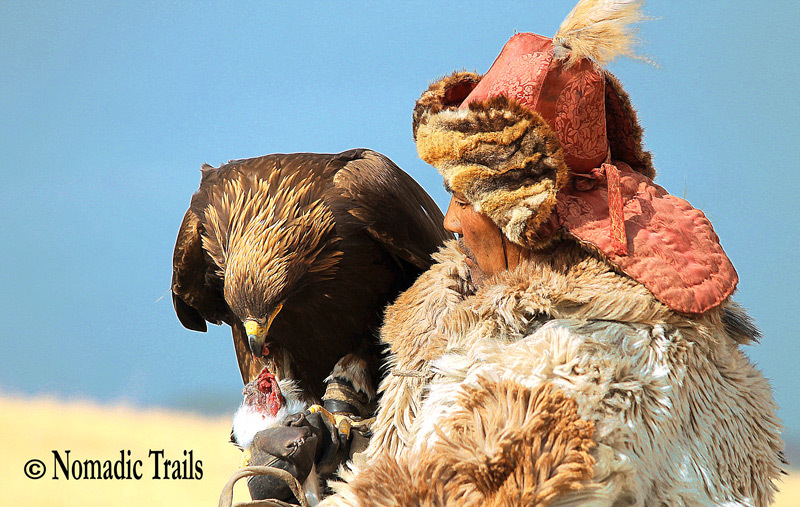 In central Asia, the area around the lake of Issyk Kul is known for its hunters with falcons and golden eagles. 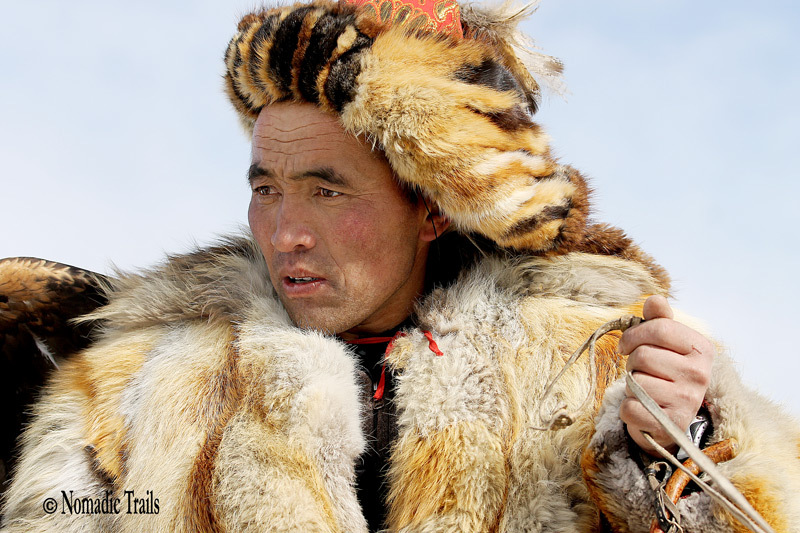 The Kyrgyz, Kazakh and Mongol traditions dates back 900 years to the time of the Mongol invasion in the area. 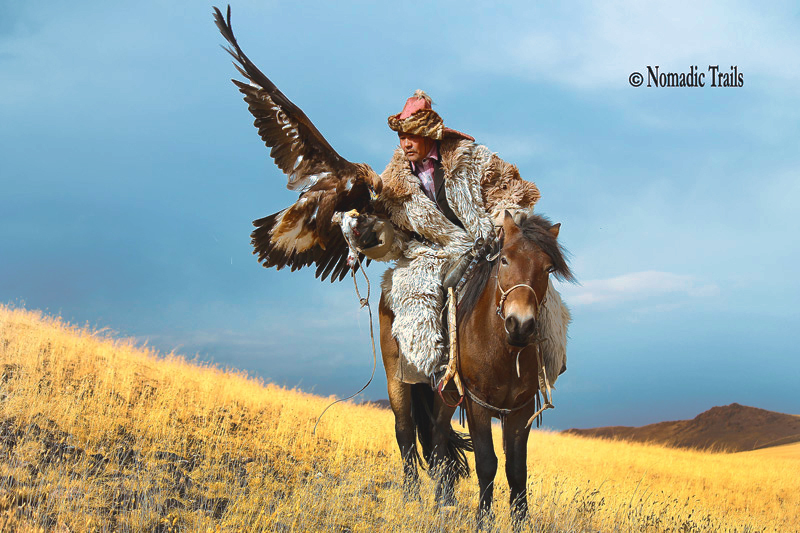 Hunting with one of nature’s most formidable bird’s of prey – the golden eagle. 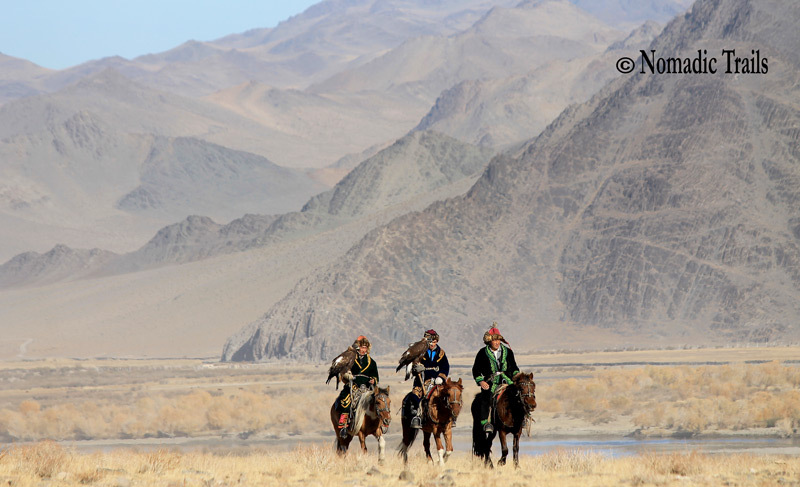 This style of hunting is a difficult sport, as it takes three to four years to teach a bird to hunt. 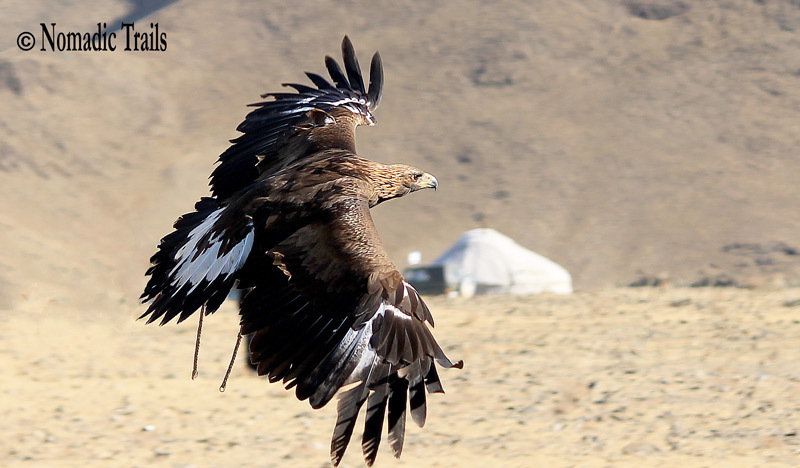 The golden eagle has over 2,000 feathers, from small, downy ones for keeping the bird warm when it’s riding the often freezing thermals to large broad flight feathers. They take immaculate care of them, preening meticulously. Considering that they have a wing span of up to two meters this is not a task to underestimate. The prey of falcons could be small rodents, rabbits, and foxes, but for such a powerful bird as the golden eagle it could be bobcats, roe deer, and even young wolves stranded in deep snow in winter. 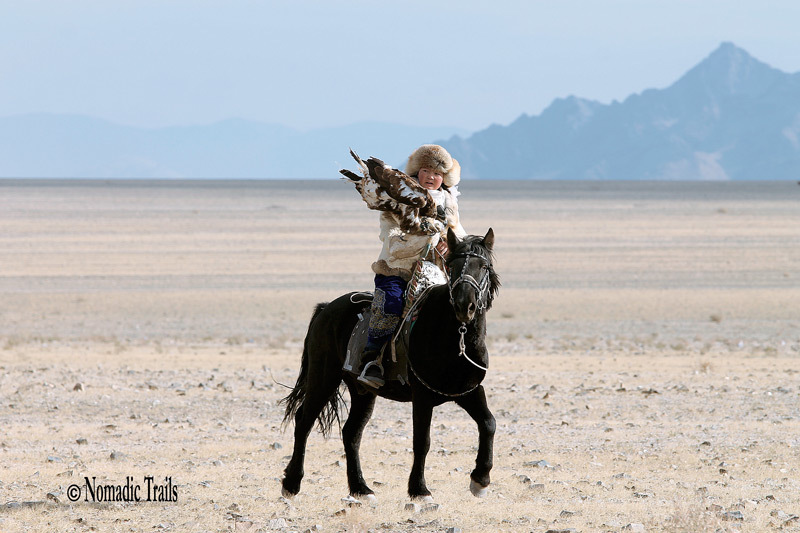 Hunting season usually starts at the end of October or beginning of November and lasts for four months. 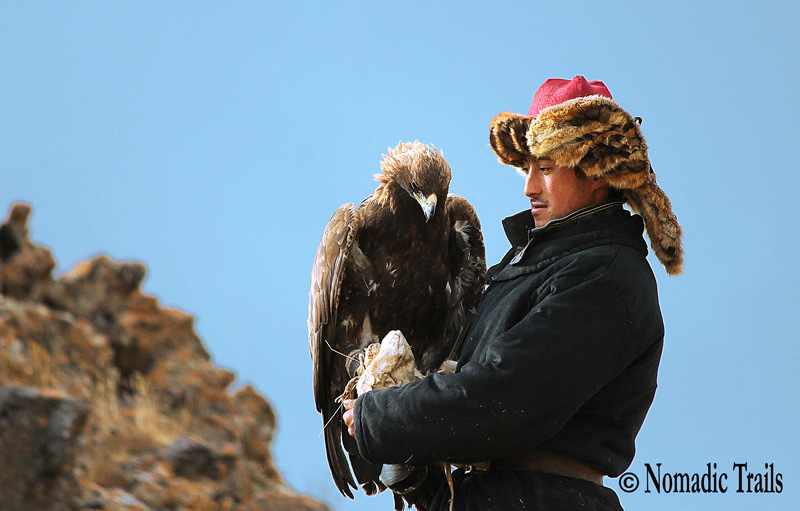 A superb hunter the golden eagle possesses lethal talons that can carry animals as large as foxes effortlessly into the air. Examples of their still larger prey include deer, lambs and young goats but these are usually not slain by the eagle but eaten as carrion. They possess incredibly keen eyesight and are easily able to scan far enough to spot a rabbit, lizard or a mouse two kilometers away. Their hearing is also excellent because they need to be able to hear the cries of their young when they are flying some distance away from the chicks. 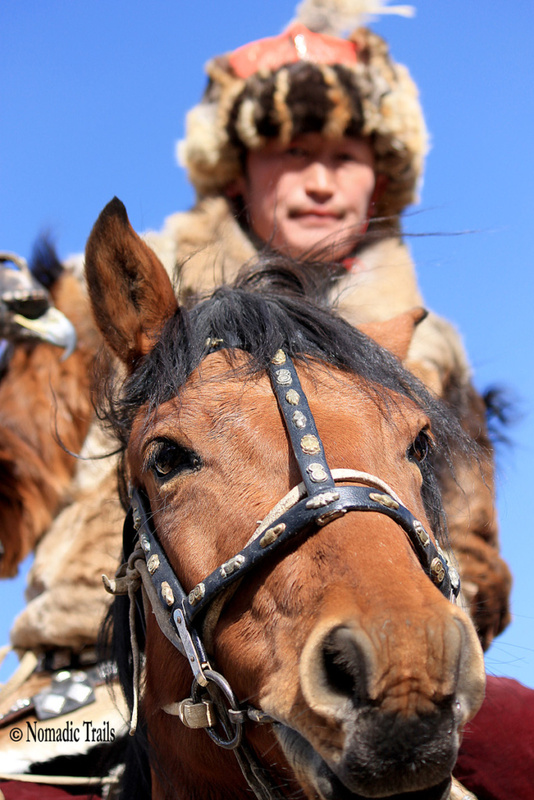 13-year-old girl, as she trains to become the first female in twelve generations of her Kazakh family. 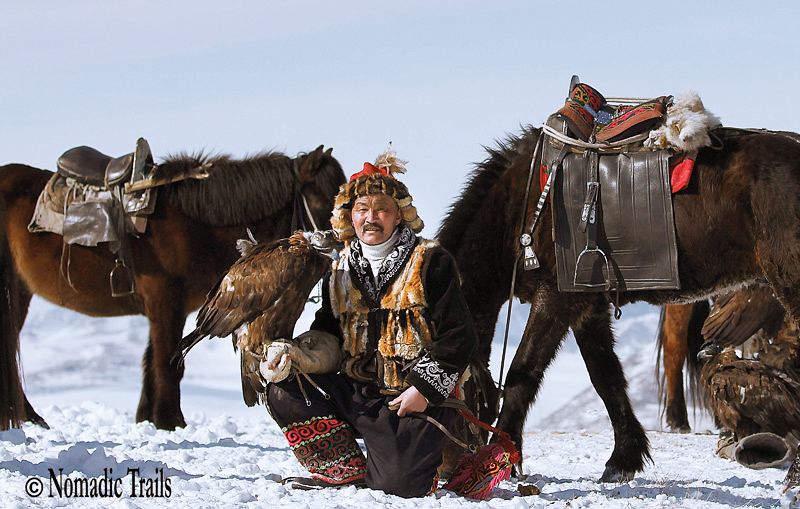 Like traditional practices elsewhere in the world, hunting with eagle is on the verge of extinction, but Kazakh culture, in Mongolia the tradition is alive and well kept. 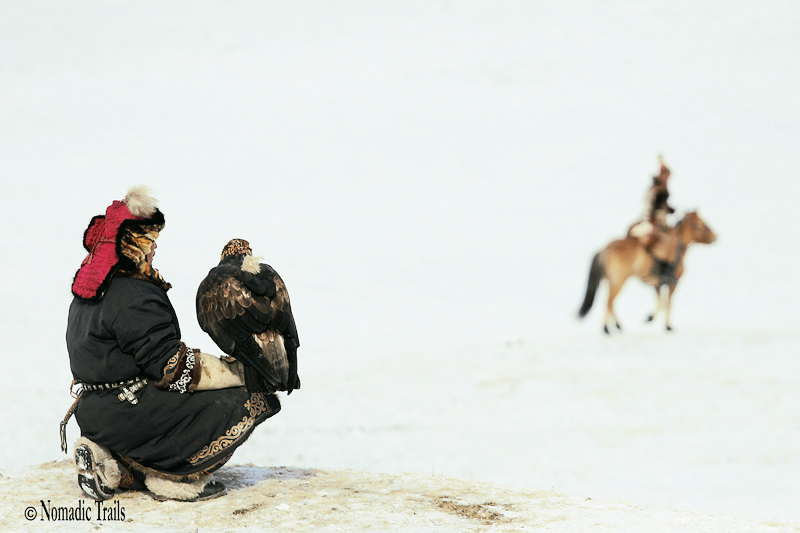 The bird must always be taught by the same man, and that man should be with the bird at all times, in order to get the bird used to the voice of the “berkuchi” – its master, its friend and teacher. 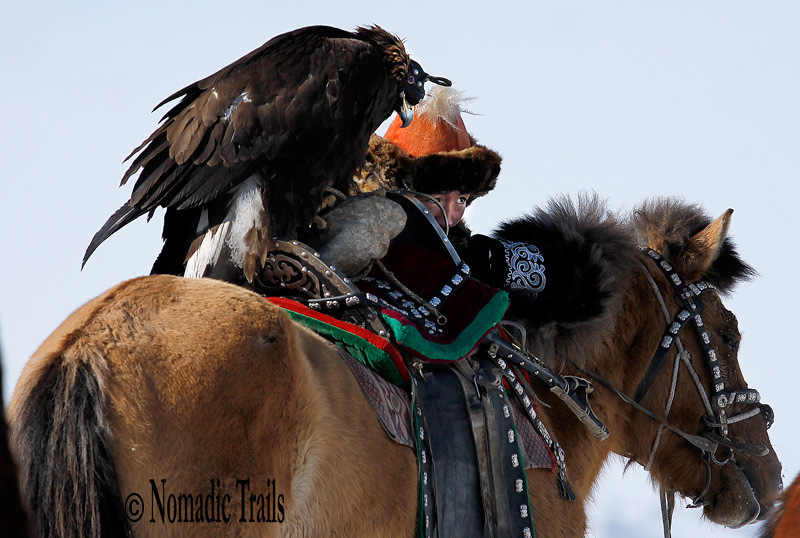 In every year, just as the winter hinting season is getting underway, golden eagle hunters gather from all over Bayan-Ulgii province (western Mongolia) to celebrate the fascinating tradition and to pit their Golden Eagles against all comers. There must be good horse trained for this activity. 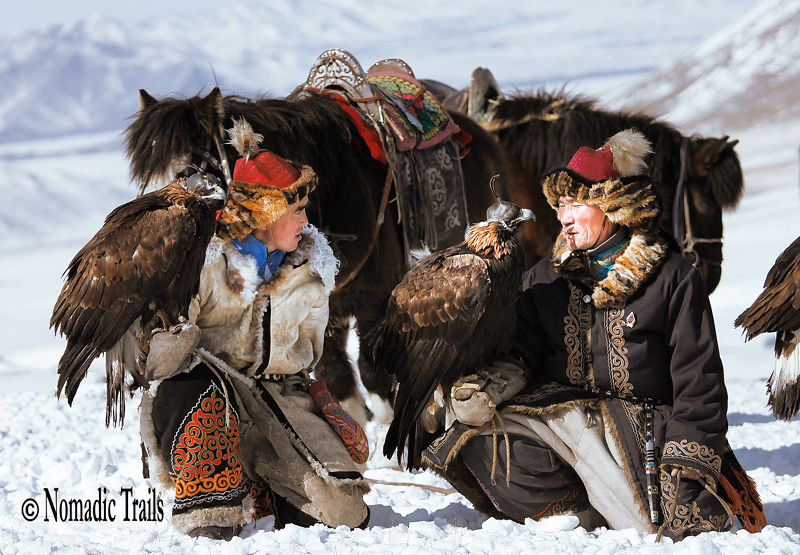 Youngsters, at age of 12, already have their influence on the training of Golden Eagles for their fathers. 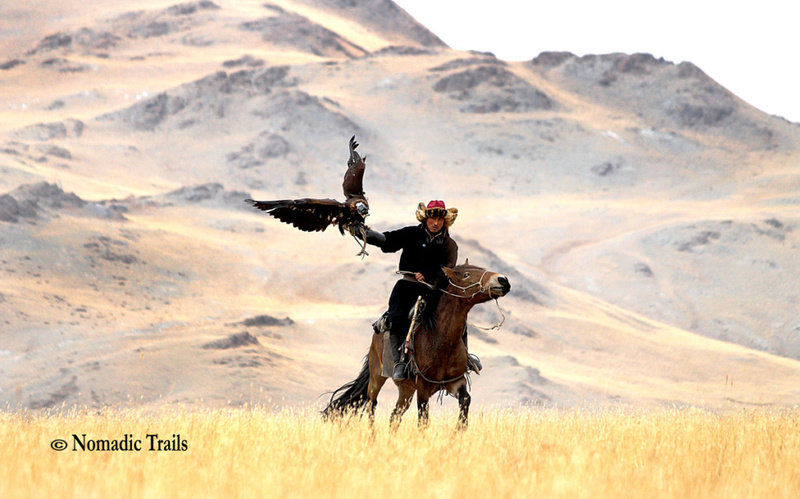 Once you are Golden Eagle trainer, it’s life time job!